Kaniv [Канів]. Map: IV-12. 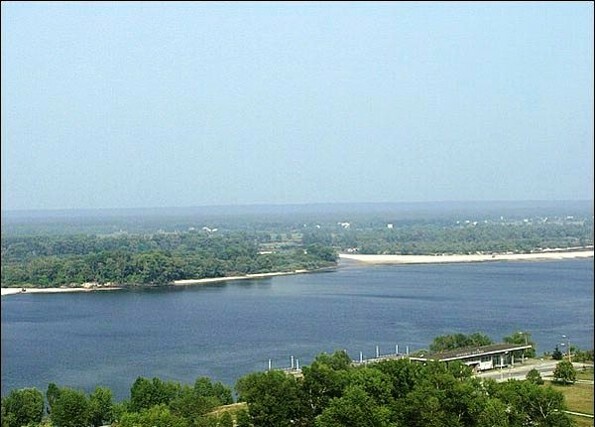 City (2011 pop 25,748) under oblast jurisdiction, raion center in Cherkasy oblast, situated on the right bank of the Dnieper River (now the Kaniv Reservoir). 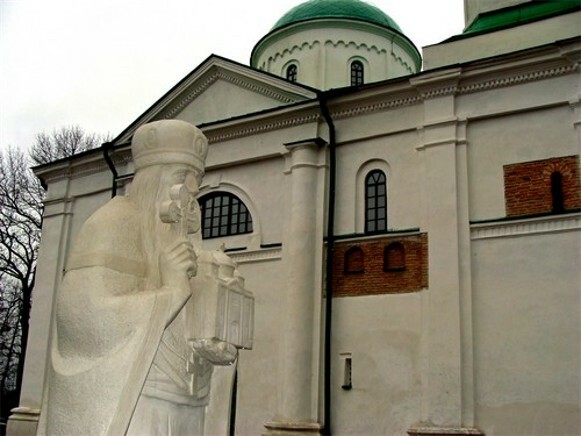 One of the most important cities in Kyivan Rus’, it was mentioned in the Kyivan Cave Patericon as existing in the last half of the 11th century. Kaniv arose on the site of, or near, the fortified city of Roden. From the middle of the 12th century it was an important trade center on the Varangian route along the Dnieper to Constantinople (until the latter's capture by the Turks in 1453), the residence of various appanage princes and of Hlib Yuriiovych and Roman Mstyslavych, and a fortress defending the frontier of Rus’ and traders from Cuman invaders. Under Lithuanian rule (1362–1596) it was governed by starostas. In 1556 it was granted the rights of Magdeburg law. 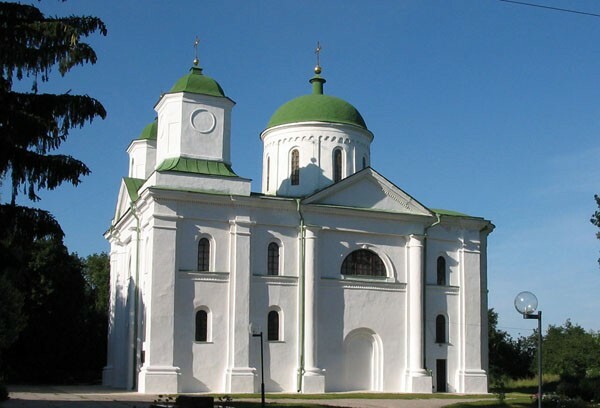 In the Cossack period it was a regimental center (see Regimental system) of the Kaniv regiment (1637–78). Under Russian rule (from 1793) it was a county town in Kyiv gubernia (1838–1917). In the summer of 1920 Army of the Ukrainian National Republic and Bolshevik forces fought each other there. Kaniv was also a raion center in Kyiv gubernia (1923–5), Cherkasy okruha (1925–30), and Kyiv oblast (1932–54). Today food production, an electromechanical plant, and the Kaniv Hydroelectric Station are the mainstays of the city's economy. Located there are a cultural-educational school, a vocational-technical school, and a museum of decorative folk art. 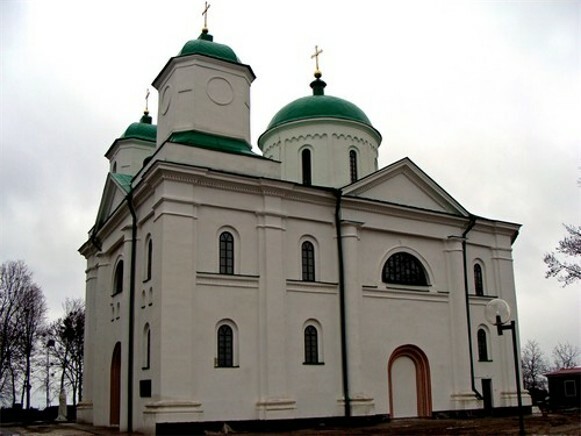 Saint George's (Dormition) Cathedral, built in 1144 by Vsevolod Olhovych, has been preserved there to this day. 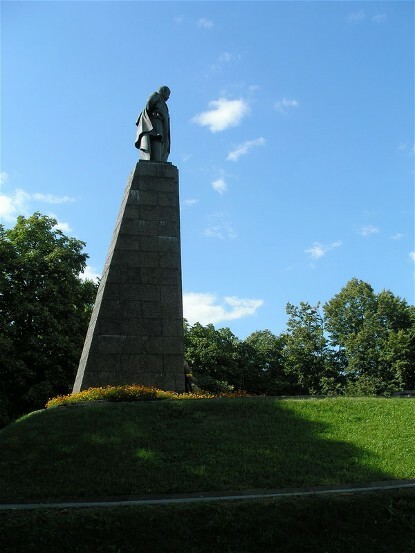 The Shevchenko National Preserve, where Taras Shevchenko is buried, the Kaniv State Nature Reserve, and the archeological sites of Kniazha Hora and the Kaniv settlement are located nearby. A referral to this page is found in 60 entries.